Beckie created these fun jack-o-lantern chair bags to give treats to hear kids as part of a fun countdown to Halloween. 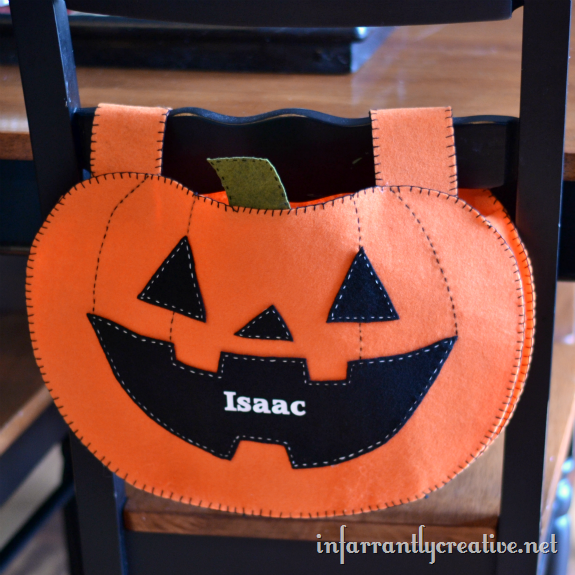 This cute felt project would be an amazingly fun party favor for your Halloween party too! You could fill the bag with goodies and let each of your little visitors take them home with them. You can check out how to make a Halloween pumpkin chair baker over at Eighteen25.